Bandabi and Soohorang appeared in King of Masked Singer! 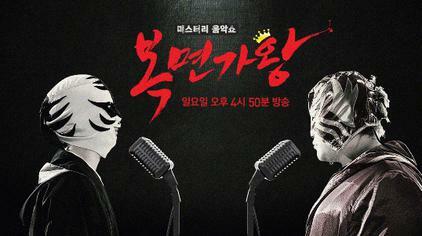 Anyone watching King of Masked Singer? It’s a singing competition program airing on MBC every Sunday. Each competition lasts for two episodes, with the singers competing one-on-one in three elimination rounds. They are given elaborate masks which are made by designer Hwang Jae-geun to wear in order to conceal their identity, thus removing factors such as popularity, career and age that could lead to prejudiced voting. In Episode 121 on 23 July, 2 mysery singers wearing masks of Bandabi and Soohorang, mascots of 2018 PyeongChang Winter Olympic Games faced off. Bandabi and Soohorang enchanted the audience and panels in the first round with the performance of song “Photograph”. By a vote of 52 to 47, Bandabi won the duet match and moved on to the next round. Who are Bandabi and Soohorang? Let’s enjoy their beautiful duet performance and guess who they are!